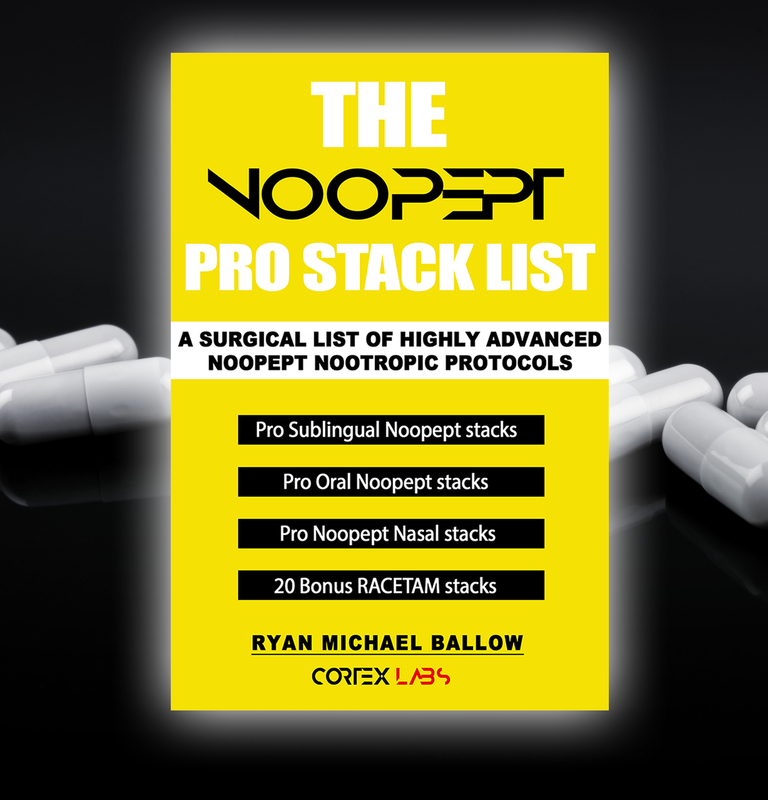 The Noopept Pro Stack List is a digital nootropics book that divulges highly effective, time tested, brain state specific, Oral Noopept/Sublingual Noopept/Noopept Nasal spray nootropic stacks, and 20 Bonus Racetam stacks. Download it instantly. You will be emailed the files to open this digital guide on any device you choose. Open the digital guide. Benefit from the many oral, sublingual, and nasal noopept nootropic stacks in this guide for years.